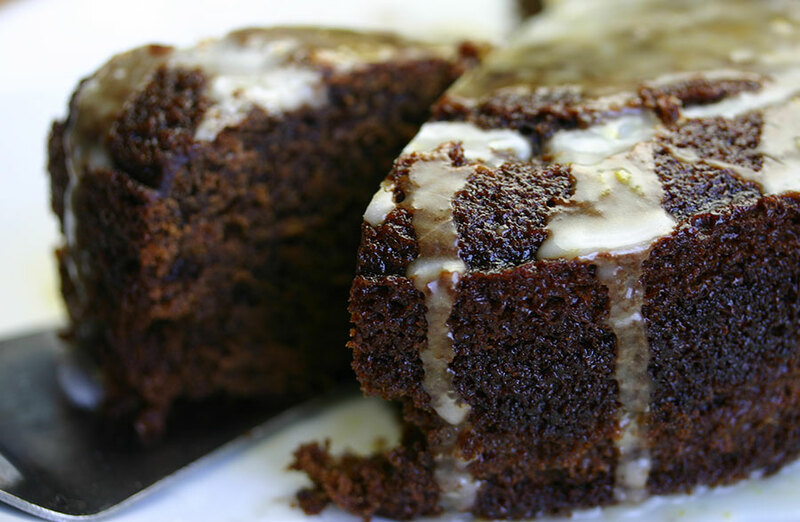 This lovely, slightly damp and sticky ginger cake is fast becoming a staple in our house. I love how the sharp lemon icing cuts the sweetness of the sponge. The original recipe is from the BBC Good Food website. Preheat the oven to 350°F (180°C). Butter and line a deep, 18cm cake tin. In a mixing bowl, whisk together the flour, baking powder, baking soda, ginger, cinnamon and mixed spice. Rub the cubed butter into the flour by hand until the mixture resembles fine breadcrumbs. In a small saucepan over a medium flame, heat the sugar, treacle, syrup and milk, stirring until the sugar dissolves. Increase the heat and bring the mixture to just below boiling point. Remove from the heat. Add the grated ginger to the flour mixture, then pour in the treacle mixture, stirring to combine. Add the egg and beat well. Pour the batter into the prepared tin and bake for 45 minutes to an hour, or until the top is firm and a skewer inserted into the middle comes out clean. In a small bowl, combine the icing sugar and lemon zest. Add enough lemon juice to make a slightly runny icing, then drizzle over the cake.